Metro station Hagastaden, the Yellow Line of the Stockholm metro. 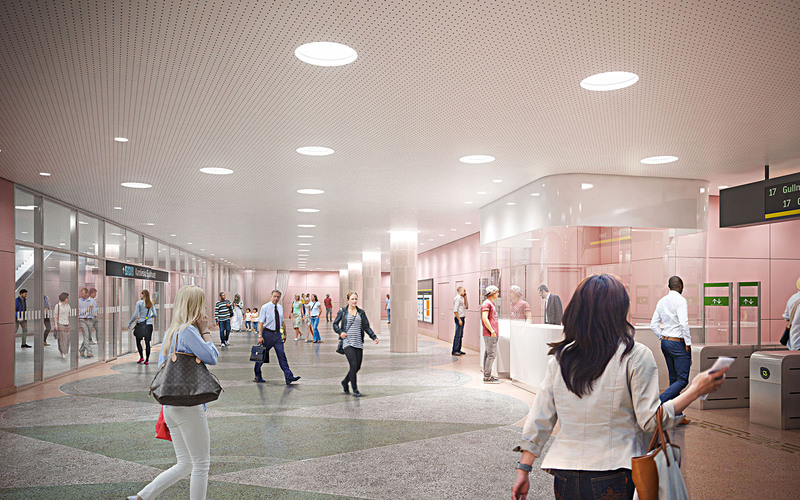 Stockholm is developing and the metro is growing with three new lines. 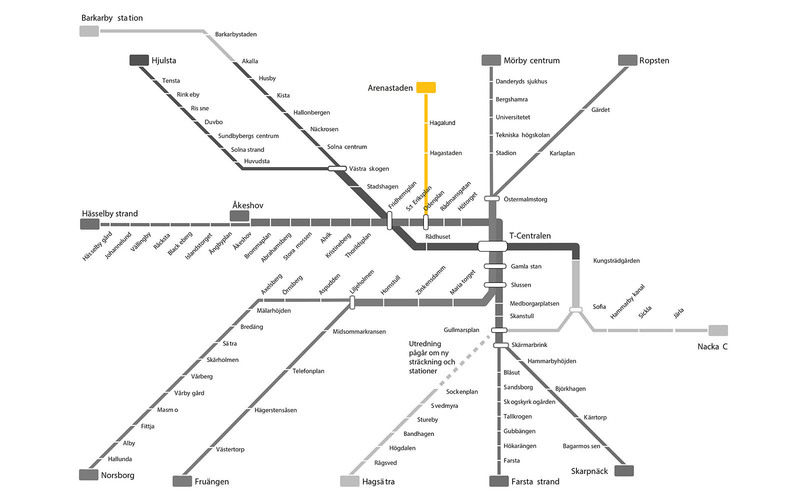 &Rundquist is architect for the Yellow line, with three new stations: Hagastaden-Hagalund-Arenastaden.  The assignment includes the design of the subway stations. 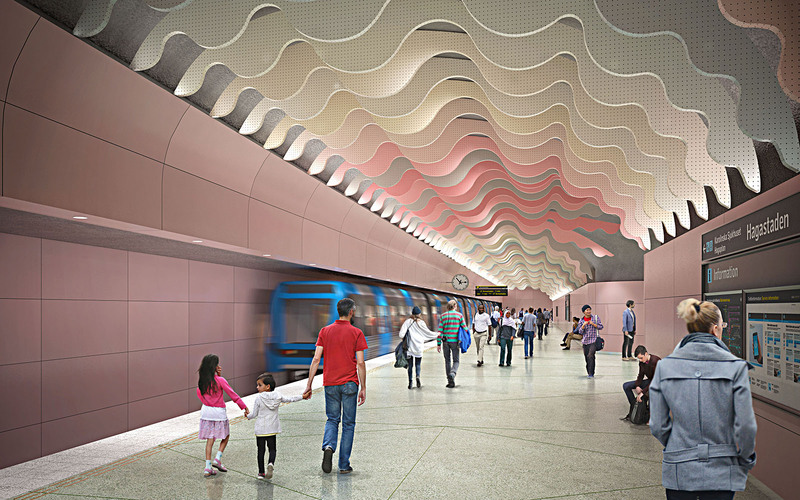 The design of the new stations builds on Stockholm tradition, where each metro station has a unique expression, and where new standards of comfort, technology and safety create different conditions for the architecture. 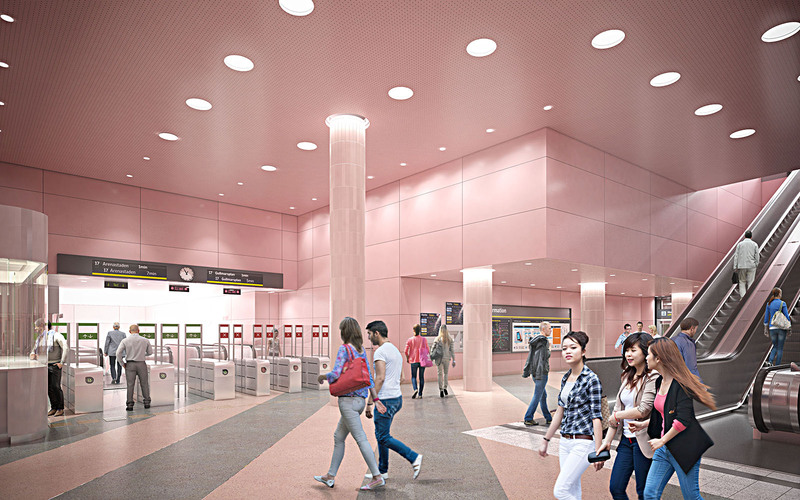 Each station will be portrayed in collaboration with artists.